At the start of the high-stakes patent licensing trial on Tuesday, a press release announced ongoing litigation between Qualcomm and Apple would cease with immediate effect. At the same time, the two companies revealed they had reached a six-year licensing agreement enabling Qualcomm to rejoin the iPhone supply chain, and that Apple would pay Qualcomm an undisclosed sum. Speaking to CNBC on Wednesday, Mollenkopf confirmed the value of the payment agreed with by Apple will remain unannounced. It is likely the amount is sizable, as shortly after the settlement announcement, Qualcomm informed investors it expected incremental earnings per share of $2, increased as a reflection of a ramping up of shipments to Apple, and providing 5G modems to the iPhone producer. Watch CNBC's full interview with Qualcomm CEO Steve Mollenkopf from CNBC. In the time since the settlement, Qualcomm's shares were up more than 15 percent in early-morning trading, after a 23-percent rally on Tuesday just after the deal's announcement. Mollenkopf expressed pleasure that the ordeal was over and the two firms would work together again. "The reality is two great product companies, it's a natural position for them to work together and want to work together," he insisted. "The energy of the companies right now is lets figure out how to ramp up as quickly as possible. That's where the focus is, that's what we are excited about" Mollenkopf continued. 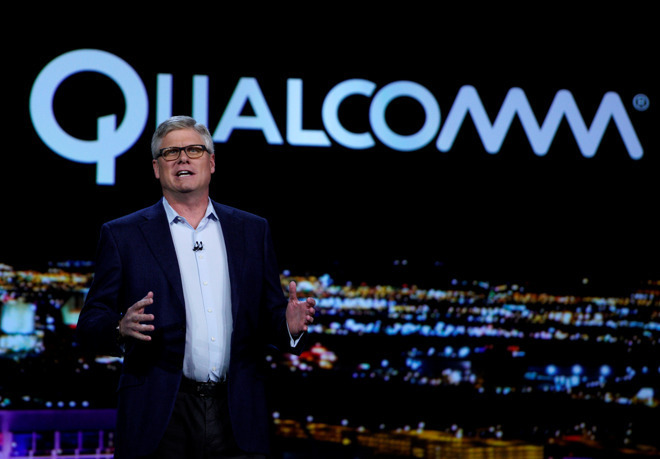 The change of heart for the two companies opens up Qualcomm to Apple's modem supply chain, a lucrative source of revenue especially considering the future need for 5G modems, and Intel's announcement it was dropping out of the 5G smartphone modem market. Intel citied "no clear path to profitability and positive returns," with the timing of the settlement likely to have been due to Apple's sudden deal with Qualcomm. "There's a lot of opportunity for us to go after that and we hope to have the ability to do even more," advised the Qualcomm CEO. Apple is currently anticipated to start using Qualcomm's 5G modems in iPhones by 2020. Qualcomm's first-generation 5G modem is expected to be used in other smartphones later in 2019.